Earth-Friendly and modern. Sophisticated 'arts and crafts.' 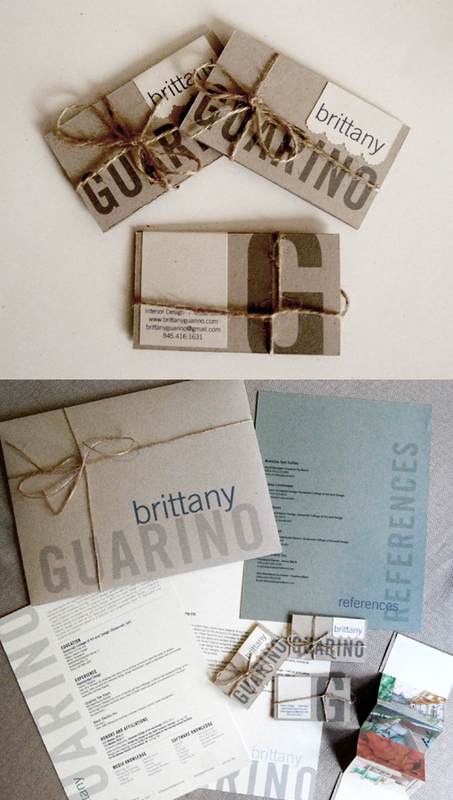 An identity package for interior design student Brittany Guarino.